In October 1988 I was a senior in High School. Roberto Alomar and Craig Biggio were concluding their rookie campaigns in the Major Leagues. Reggie Miller was preparing for his second season with the Indiana Pacers and Gary Payton had yet to step onto an NBA court. Deion Sanders and Junior Seau had both yet to put on NFL pads. They are all Hall of Famers now, though. Long since retired. Many readers are likely too young to even remember when any of them played. 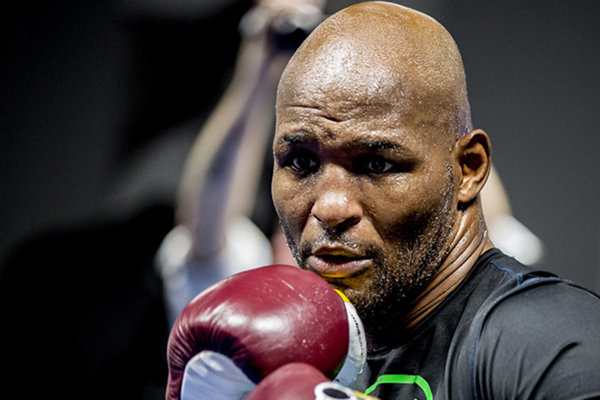 October 1988 was also the month that Bernard Hopkins began his professional boxing career. And while all of his contemporaries, from across the ranks of professional sports have long since retired to the couch, this weekend in Irvine, California, Hopkins will return to the ring, one last time, at age 51. Hopkins has long since eclipsed any other athletic records for longevity, and in boxing, which is among the most physically demanding and dangerous of sports. He had already grown long in the tooth at the moments of his biggest professional triumphs. He was 36 when he knocked out Felix Trinidad in 2001. He was 39 when he knocked out Oscar De La Hoya in 2004, to become the undisputed middleweight champion. At age 40, Hopkins lost back-to-back decisions to Jermain Taylor. I think he deserved to win both fights. Still, most champions who lose back-to-back fights at age 40 are usually done as major players in the sport. But Hopkins launched into a second act of historical significance. Six months after losing to Taylor, Hopkins moved up to light heavyweight and beat Antonio Tarver. At 43 he lost a split decision to Joe Calzaghe, but came back six months later to thrash Kelly Pavlik, a fighter that many had predicted would give Hopkins his first career KO loss. In 2011, at age 46, Hopkins beat Jean Pascal, to claim the lineal light heavyweight title, making him the oldest boxing champion in history. He would win another, alphabet-soup belt, in 2013, at age 48. Hopkins last fight was over two years ago. He fought a cagey, gritty fight against Russian wrecking ball Sergey Kovalev, but lost by a shutout on all three cards. It’s hard to view his opponent this weekend, Joe Smith Jr., as anything “really special.” But Smith is coming off from a sensational knockout earlier this year over top light heavyweight contender Andrzej Fonfara. This fight is his big chance to shine in the spotlight. And when a professional fighter is closer to 100 than he is to his birth, there is something special about any fight he takes.